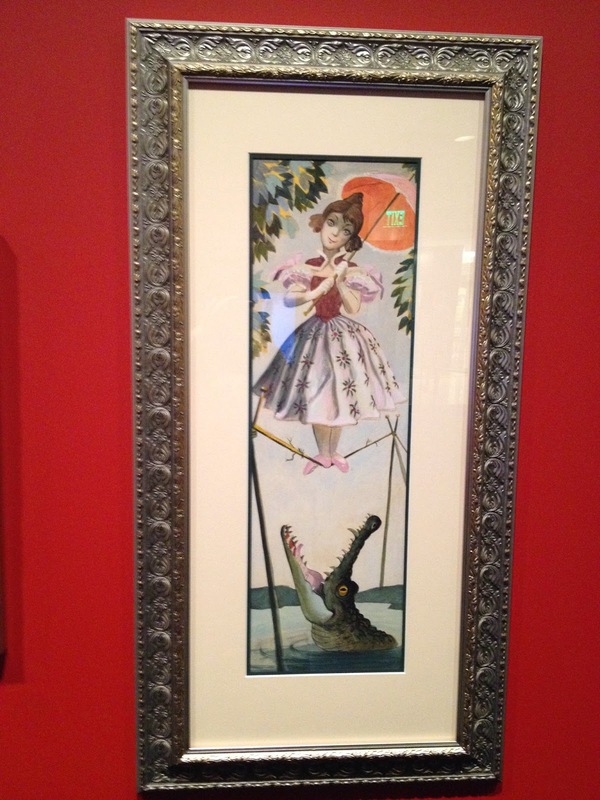 Disney Imagineer and animator, Marc Davis who created the Disney personas of Maleficent, Cruella de Vil, and Tinkerbell among others, is being featured in a special exhibit at the Walt Disney Family Museum until November 30, 2014. There are original drawings and sketches of his most famous characters as well as a few that aren't so famous, but fun to see. The collection comes from the Davis' family's private collection, the Walt Disney Family Museum and The Walt Disney Company's holdings. Malificent was always one of my favorites, even before all of the hype for the new movie. 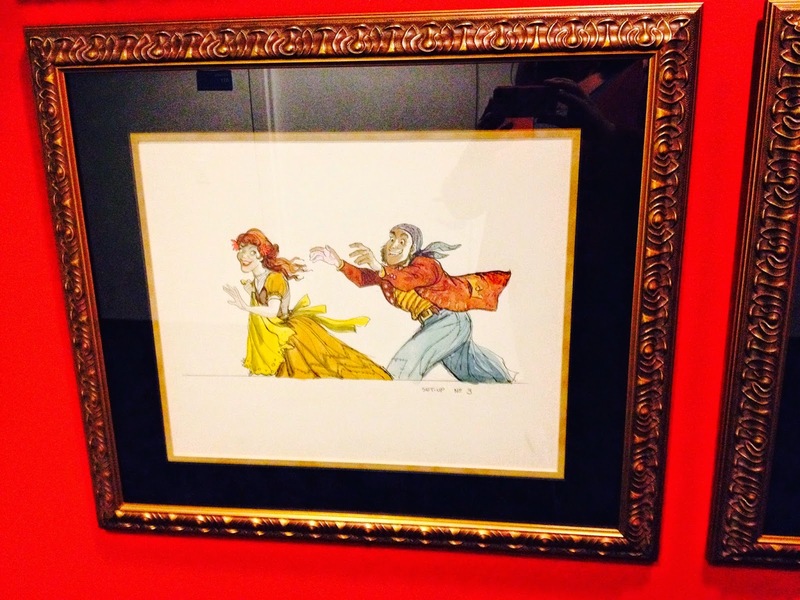 One of Davis' jobs on Cinderella was to make sure that the character was consistent in all of the drawings. Back then cartoons were made by drawing hundreds of drawings the characters making small movements to bring them to life. There had been some slight inconsistencies, according to the exhibit materials, in Snow White that Walt Disney wanted avoided in Cinderella. Marc Davis also created many of the characters in some of our favorite Disneyland rides. Below you can see the tightrope walker from the elevators at the Haunted Mansion. 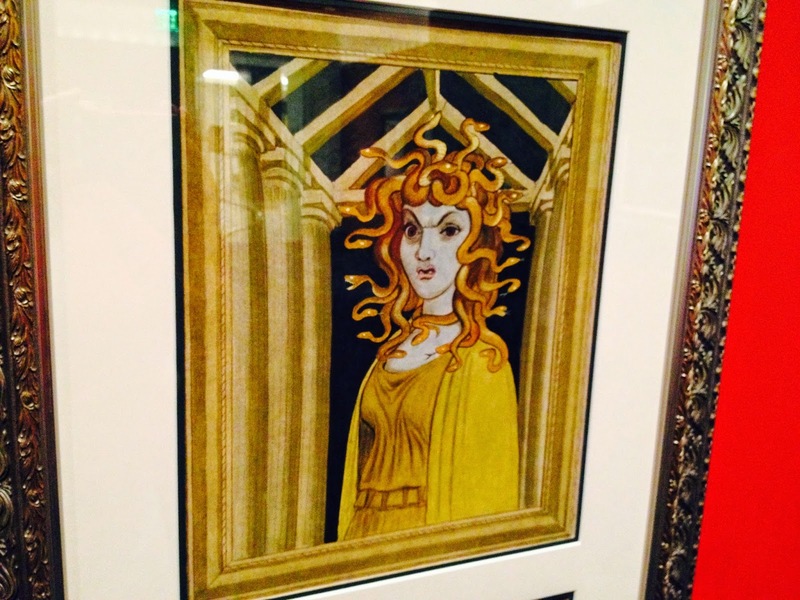 This is part of a portrait where the woman turns from normal to Medusa like as you walk down the Haunted Mansion hallway before you get to the ride. This sketch shows a pirate chasing a village girl in the chase scene from Pirates of the Caribbean. This was rendered more politically correct to have some villagers doing the chasing in a later refurbishment. This is from the Old Country Bear Jamboree that was removed from Disneyland and replaced with the Winnie the Pooh Ride in Bear Country now called Critter Country. It's a wonderful exhibit, as is the whole museum. If you like Disney, movies, history, theme parks, fun, trains or anything else, you should check it out. I would love some of these hanging in my house!